Enjoy healthy, refreshing drinks at any time thanks to the innovative and attractive design of the Sensations Juicer. 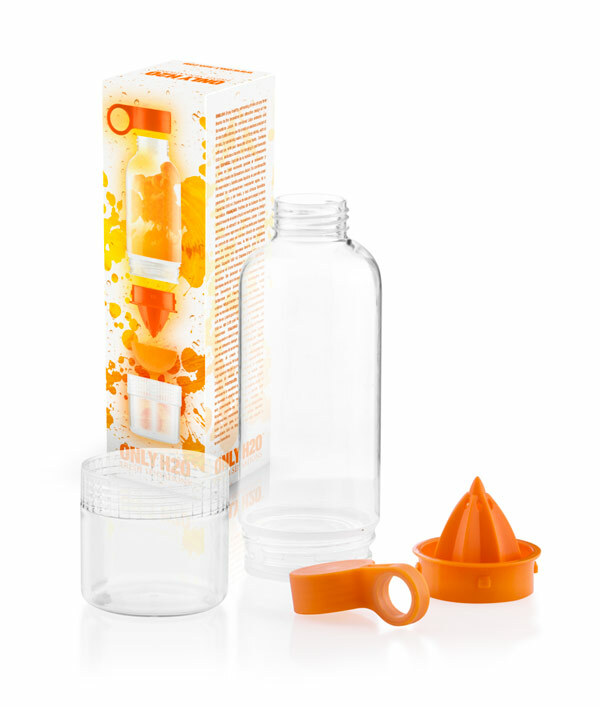 Its combined juice extractor and drinks bottle allows you to create an endless amount of drinks, by combining water, tea or fizzy drinks, with or without ice, with your favourite citrus fruits. Contains 550 ml. Includes a handle for hanging it, and hermetic seal. Smart Cup is the smart glass that is going to revolutionise your every day life. Every 2 hours, it will get illuminated so you don’t forget to have a drink; besides that, it indicates its temperature. If you need to drink at night and don’t want to switch on the light, it gets illuminated just by touching the surface on which it is. Capacity: 400 mL. Works with 2 AAA batteries not included. 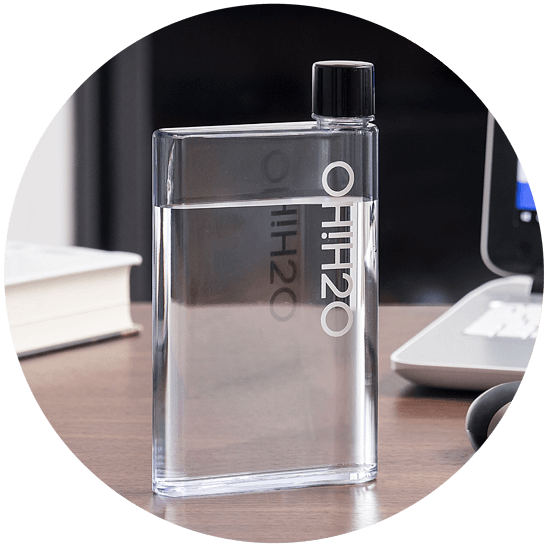 Welcome to the extraordinary world of OH!H2O in which drinking is also about design and sophistication. 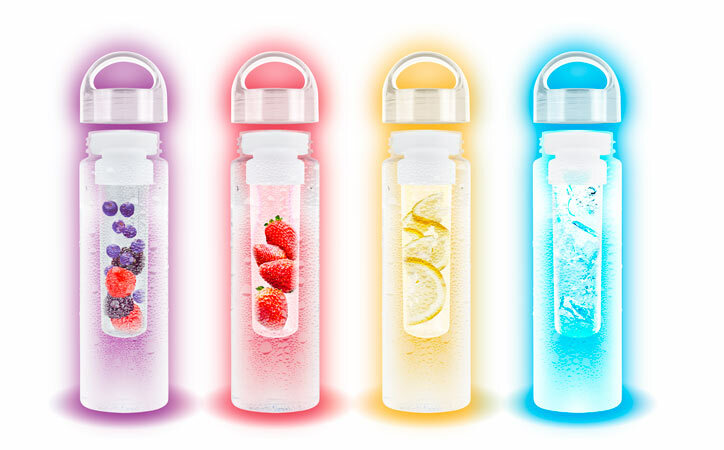 In spite of its slim shape, the capacity of the bottle is 350 mL, and is perfect to take anywhere. Functionality and tastefulness have come together in this new product. 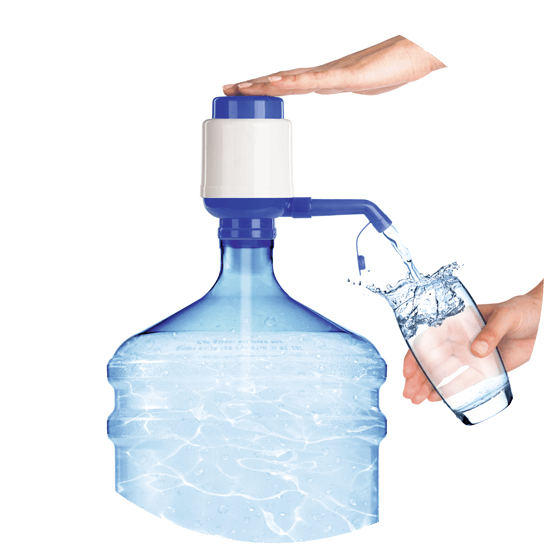 Bring better tasting and healthier water everywhere with Aqua Bonna®. 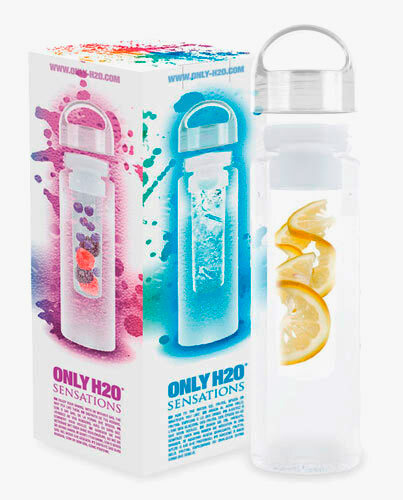 Just fill the bottle and gently squeeze fresher water while drinking. 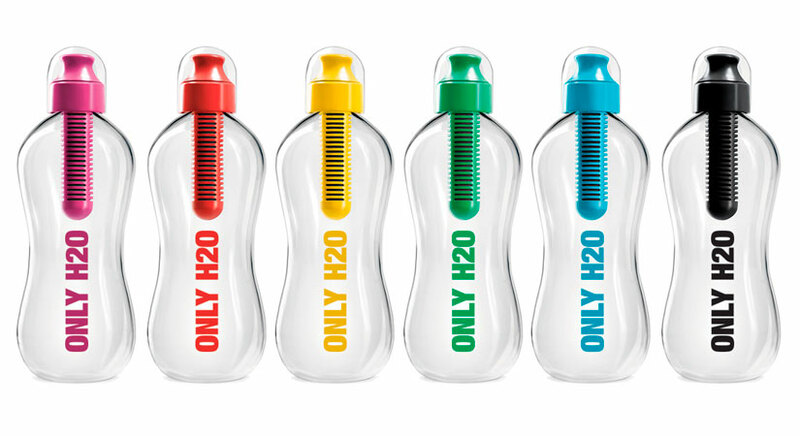 The bottle’s carbon based filter reduces odour, chlorine and organic contaminants from regular tap water. The filter lasts about 2 months or 300 bottle refills. 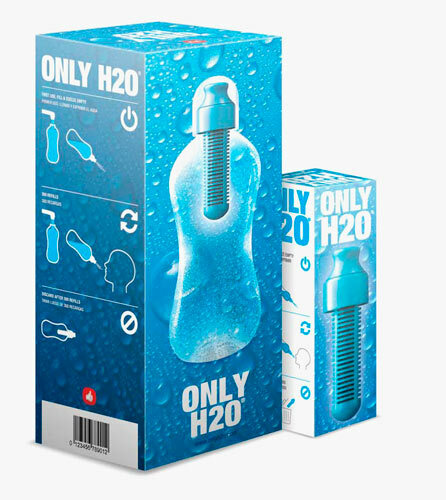 Carbon filter replacement for Only H2O ™ bottles. It reduces odour, chlorine and organic contaminants from tap water. The filter lasts about 2 months or 300 bottle refills. Water pump tap for bottles and containers of 2.5, 3, 5, 8 and 10 litres. Simple to install and easy to use. With anti-drip cap and expandable suction tube. Try now an awesome product! Take it anywhere thanks to its small size.